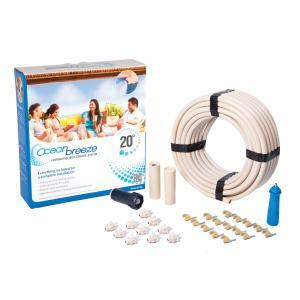 The Ocean Breeze Misting Kit is great for those hot summer days. Install your cooling system in minutes, placing nozzles just where you want them. For residential use in patios, gazebos, pool areas, under eaves, and even camping sites. 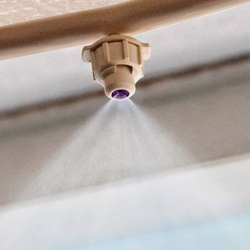 Misting cools the air by increasing the moisture content in the air with the fine water droplets which evaporate quickly thus reducing the air temperature in the immediate area.